The European Council: What makes it to the agenda and why? The Leaders’ Agenda presented by European Council President Donald Tusk in October 2017 sets priorities for action at the European level for the coming two years. Interestingly, the Leaders’ Agenda is based on the Bratislava and Rome declarations informally adopted by the EU27 leaders, and not on the substance of the conclusions of their meetings at 28. The declarations at 27 have therefore become the agenda for the European Council, and for the Union as a whole. 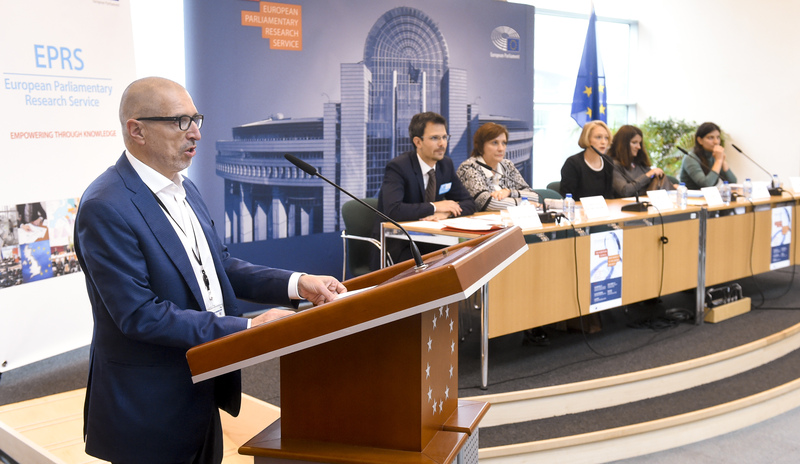 Against this background, the EPRS European Council Oversight and Scrutiny (ECOS) Unit organised an event on 10 October 2017 to ask: What makes it to the European Council agenda and why? In his opening remarks, Wolfgang Hiller, Director for Impact Assessment and European Added Value at EPRS, highlighted that although the formal role of the European Council is to define the Union’s general political directions and priorities, its involvement in EU policy-making goes far beyond the letter of the Treaties. A collateral effect of the June 2016 referendum in the United Kingdom is that today, in parallel to EU28 meetings dealing with the normal agenda of the Union, EU leaders increasingly meet in other formats, including at 27, without the UK. While the Lisbon Treaty sets a legal framework for the European Council as an institution, including regarding its President’s reporting obligations to the Parliament, no such framework exists for informal meetings of the EU27. Their actions must therefore be carefully scrutinised by Parliament. 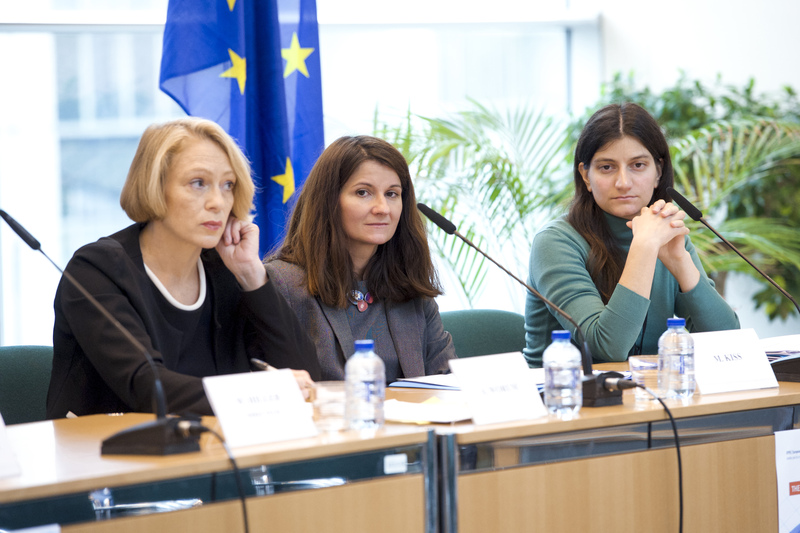 Astrid Worum, ECOS’Acting Head of Unit and moderator of the event, provided the background for the discussion in presenting the EPRS study on Agenda-setting in the European Council, December 2014-June 2017. Its author establishes a ranking of policy areas according to their prominence on the agenda, with migration and governance issues having commanded the largest share of the agenda. Foreign policy and economics also appeared frequently, while issues of internal and external security, as well as external trade have risen moderately. A wide variety of other topics received scarce attention, or were not discussed at all. These include agriculture, civil rights, employment, energy, environment, and regional policy. Topics such as health, social policy and education were also hardly ever mentioned. Policies where the EU has only a coordinating or supplementary role, or matters of exclusive national competence, might have a limited imprint on the body’s agenda. Policy areas where national involvement is essential to achieve EU level agreements, such as foreign affairs, or economic and employment policies, will enjoy a larger share of attention. Certain policies, such as agriculture and regional policies, are generally dealt with at the European Council level in the context of budgetary negotiations. The high levels of attention paid to the migration crisis and the United Kingdom referendum on EU membership has impacted the choice of issues on the agenda. Indeed, since 2009, agenda-setting in the European Council has been strongly crisis-driven. Dr Yann-Sven Rittelmeyer, Policy Analyst with the European Policy Centre and holder of a PhD on the institutionalisation of the European Council, argued that the European Council has fulfilled various roles in the EU political system over the years. It has functioned as an agenda-setter, a constitutional architect, a foreign policy actor and a crisis manager, but also – more contentiously – as an arbitrator (instance d’arbitrage), and has sometimes fulfilled legislative tasks. Rittelmeyer observed that the European Council’s role as a crisis manager was facilitated by its leadership capability, the power of its members, and its flexibility to meet more and more often in order to react rapidly to potentially destabilising events. We observe a similar context at the European Council’s creation in 1974, when several crises were unfolding on the international scene and strong leadership was needed at the highest level. Crises have also offered opportunities to the European Council. The global financial crisis, for instance, led to the birth of Euro summits which became progressively formalised, first through a declaration and then later through inclusion in the Treaty on Stability, Coordination and Governance in the Economic and Monetary Union. We are currently witnessing a similar phenomenon, with informal meetings held by EU leaders at 27. 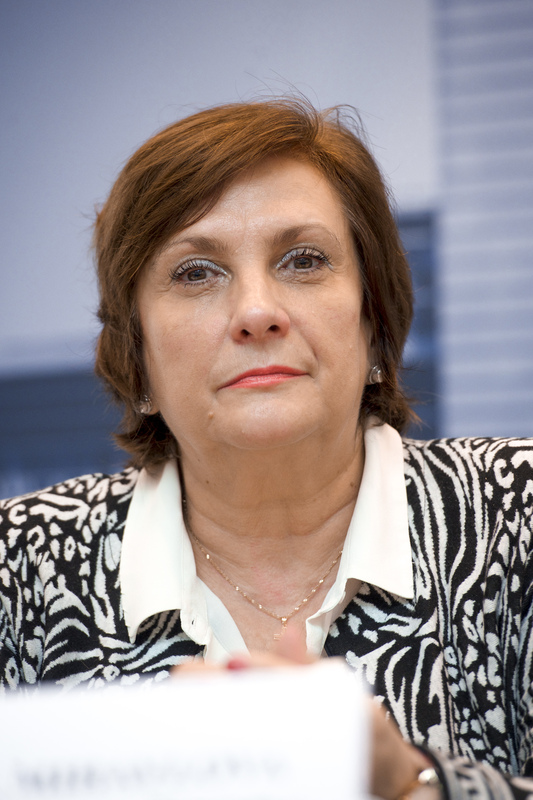 Iskra Mihaylova, (ALDE, Bulgaria), Chair of the Committee on Regional Development and former Deputy Minister of Regional Development and Public Works in Bulgaria, expressed concern at the absence of regional policy on the European Council agenda. Regional policy is supported by one third of the EU budget and, through its Structural and Investment Funds, is expected to provide support to 1.1 million SMEs, create 420 000 new jobs and help more than 7.4 million unemployed people find jobs in the 2014-2020 period. Given the challenges brought about by the migration crisis, it is precisely at this time that the European Council should discuss how EU funding could be used to assist with the social and professional integration of migrants in the EU, as well as with the defence of our borders. Monika Kiss, a Policy Analyst with the EPRS, pointed out that the absence of social policy on the agenda contrasts with the 2009-2014 period, when it featured twice as often on the agenda. This may reflect a change in citizens’ priorities, as in 2014 citizens were concerned with unemployment and the economic situation, while in 2017, migration and terrorism have grown in importance, according to the Eurobarometer survey. Moreover, social and employment policies are national competences and deep divisions persist among Member States in these areas, such as on the issue of the posting of workers. Certain topics may instead be discussed during Tripartite Social Summits and at specific Council meetings. As to possible future topics on the agenda, EU leaders may address issues such as equality on the labour market and labour mobility, social fragmentation and dumping as well as the European Pillar of Social Rights. Laura Puccio, also an EPRS Policy Analyst, argued that although trade is a technical topic it appears on the agenda at specific moments in time due to its importance as a political instrument in EU foreign policy. Current challenges in trade policy and protectionist tendencies abroad, as well as citizens’ concerns, have made trade more salient since late 2016. Issues with the ratification of agreements have also been solved with the support of the European Council, as was the case with the Association Agreement with Ukraine. Moreover, the institution can be credited with stimulating the ending of stalemates on certain issues, such as trade defence instruments. Finally, in the event of a fundamental change in policy direction, for instance a new type of trade agreement with the USA, this kind of decision would be taken at European Council level. As to possible future topics on the agenda, EU leaders may address trade relations with the UK and USA, EU investment policy, international procurement instrument, and finally trade adjustment costs – in other words, distributing trade gains more fairly. The European Council Oversight Unit within the European Parliamentary Research Service (EPRS)monitors and analyses the delivery of the European Council in respect of the commitments made in the conclusions of its meetings, as well as its various responsibilities either in law or on the basis of intergovernmental agreements. This EPRS blog post is a good background note for discussion about the Leaders’ Agenda endorsed by the European Council 20 October 2017. The Leaders’ Agenda also indicates areas – often intergovernmental – where the EPRS and the European Parlaiment need to be especially vigilant in order to defend the interests of EU citizens, civil society organisations and businesses. .
We are happy to hear that! Thanks for sharing!